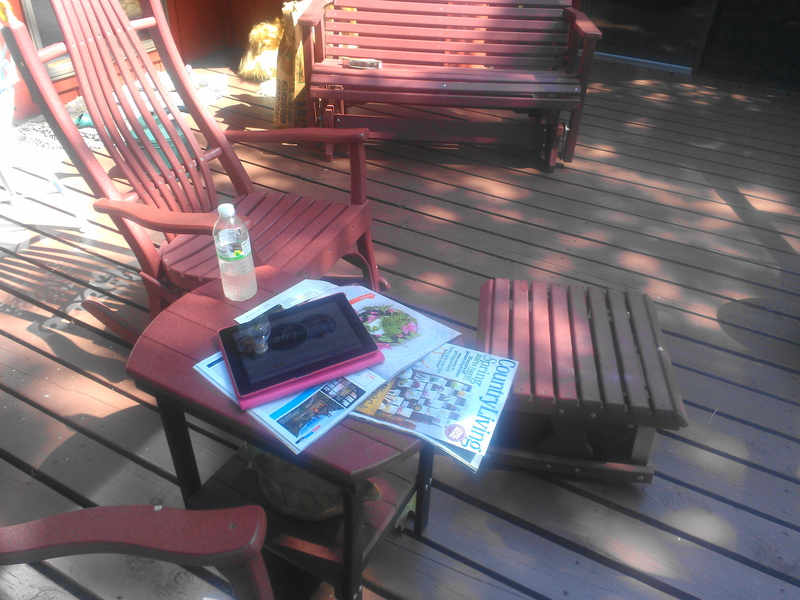 I get to sit on the deck every morning until it gets to 90 degrees. I get to leisurely read through my stacks of magazines (and am Pinning a ton of stuff). I get to listen to the birds sing. I get to watch hummingbirds play in the sprinkler mist. I get to watch daring squirrels make running jumps for hanging bird feeders. 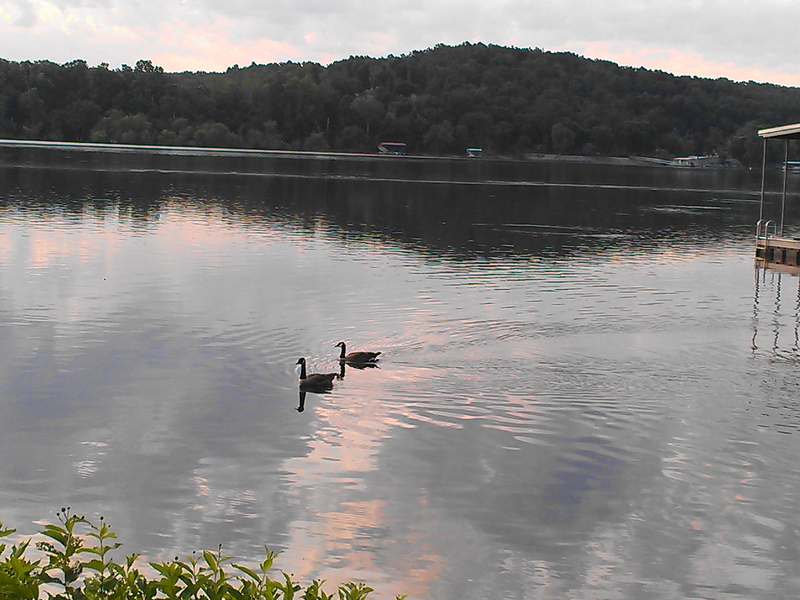 I get to watch the geese every morning (and evening). I get to watch the sunrise. I get to watch the sunset. 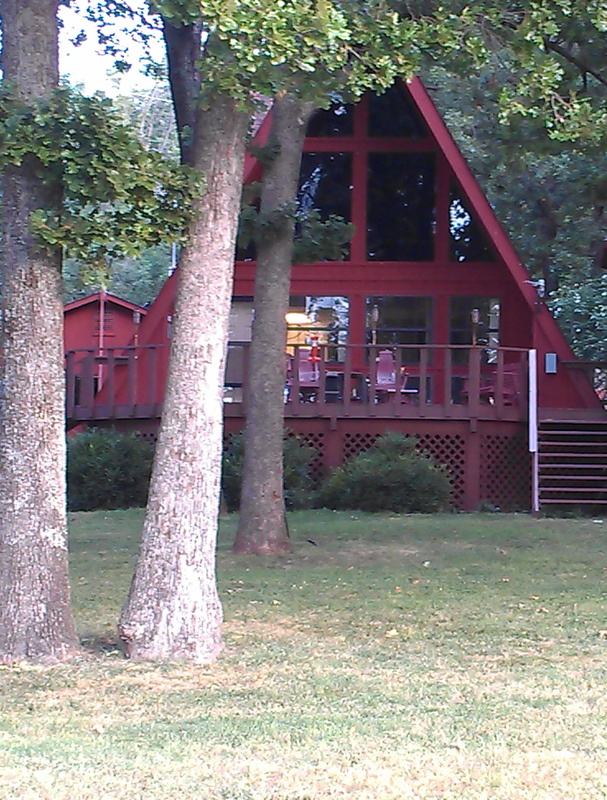 I get to wish that we owned this little abode (instead of just house sitting for a week). I get to take in the beautiful views. The only bad thing is that The Hubs isn’t able to take off much. (He is driving back and forth to work….Bummer.) So, I am ending up having to enjoy much of this without him. We are able to spend together after work. 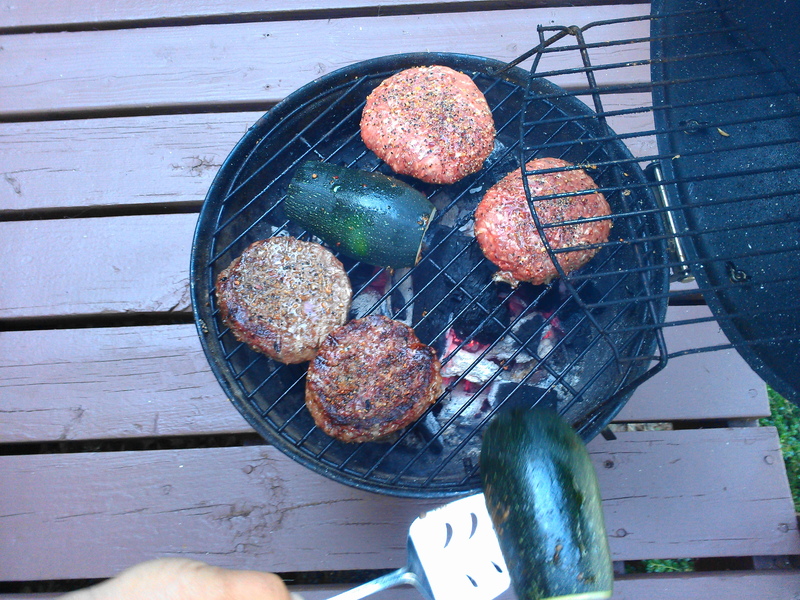 We grilled some fabulous burgers and zucchini (brought with us from our own garden). 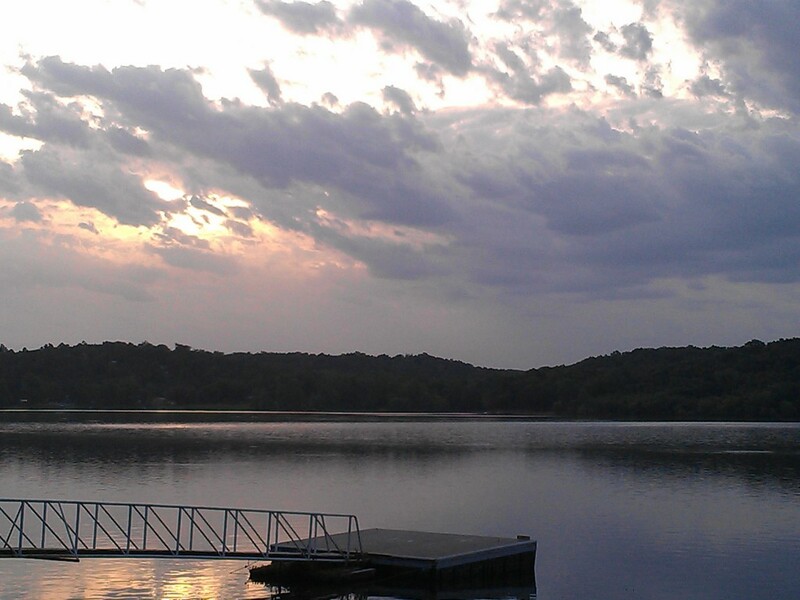 At the lake, things just taste better cooked outside on a tailgating grill. At the lake, you have to improvise, like using a pie server to flip burgers. Abigail, there is a beautiful public garden near here that I found the most beautiful flower EVER for you. 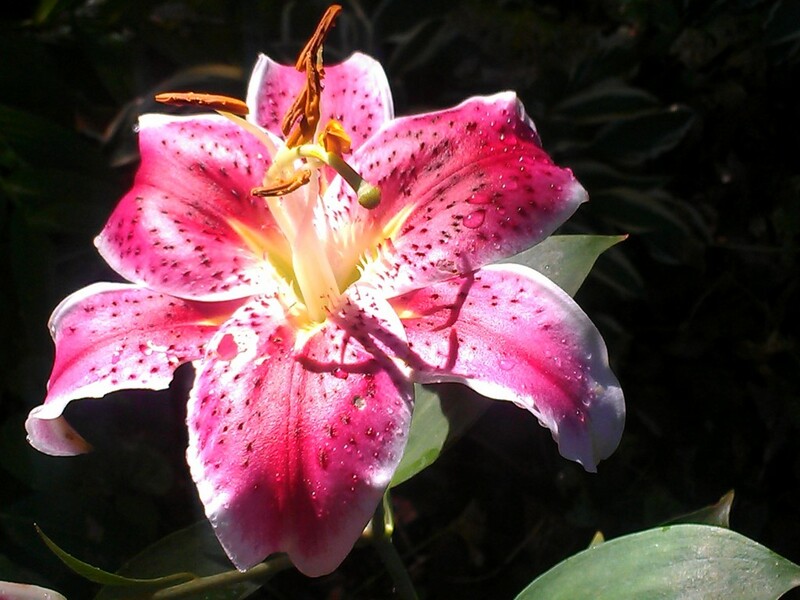 It is an Asiatic Lilly. I will post more about this amazing garden soon (with lots more flowers for Abigail). Hugs, smiles, and serene thoughts today. 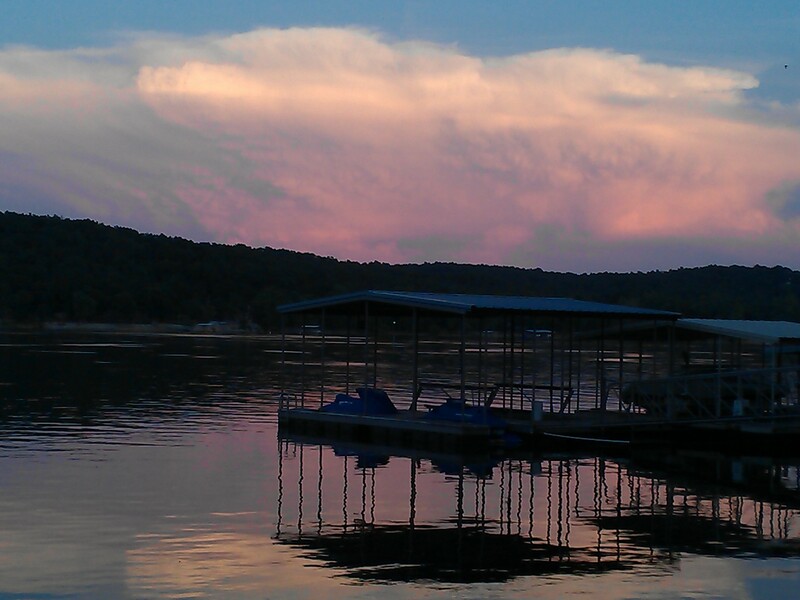 24 comments to The Lake…..Aahh! Cool that you are enjoying yourself! I bet they have a long list of people who tell them that. We are just fortunate enough to do this every once in a while. Have a fabulous and relaxing time! this sounds so relaxing and wonderful! enjoy!! Am doing so. Thanks for dropping by, Sarah. It looks so wonderful and relaxing! 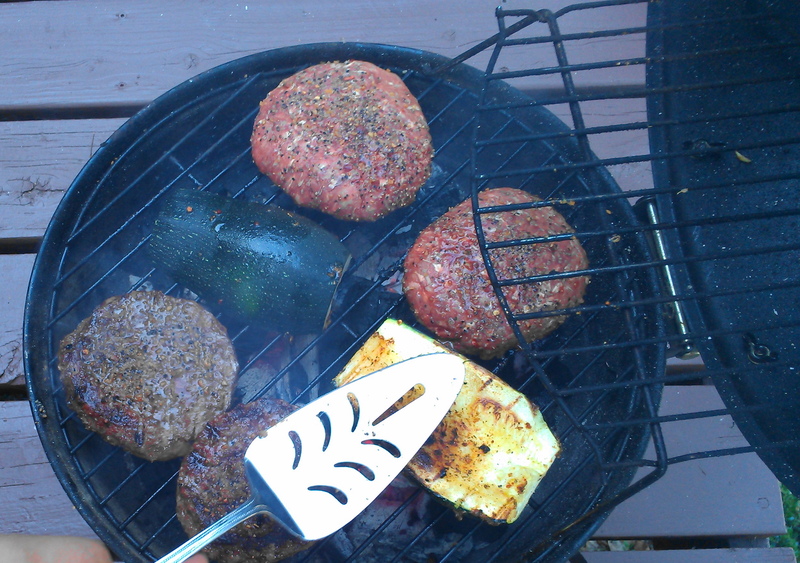 I love seeing your charcoal grill – That’s the only kind I will use! Enjoy! Lovely….so relaxing. It sure would be nice to have a little retreat like this. It energizes you to be sure. Good for you getting advance reading and movies done!! I think I need this retreat full time! Looks like you are having a wonderful vacation! What a gorgeous view and there’s nothing better than being surrounded by nature! Keep on chillin my friend! 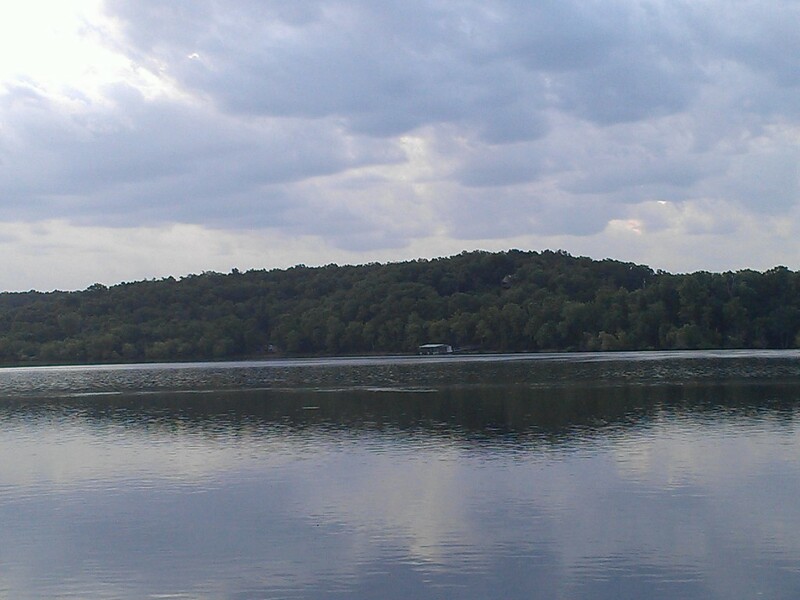 What a nice treat to be able to house sit in such a gorgeous place! We all wish we were sharing it with you. 😉 Sounds like you’re having a wonderful time. Love all the pictures, too! Thanks so much. It sounds like you have a very restful and relaxing week ahead. I could sit and look at that view all day. Enjoy! So lovely! It’s so nice that you got to enjoy such a wonderful place!